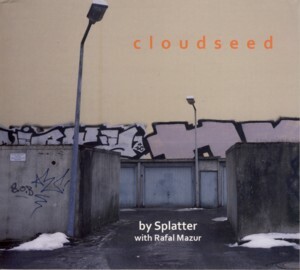 This is an excellent album by British Improvising Music quartet SplatterFind albums by this artist, recorded in an expanded lineup which also includes the Polish bassist Rafal MazurFind albums by this artist. Splatter consists of clarinetist Noel TaylorFind albums by this artist, saxophonist Anna KaluzaFind albums by this artist, guitarist Pedro VelascoFind albums by this artist and drummer Tom GreenhalghFind albums by this artist. On the album they perform thirteen relatively short improvised pieces, and since no composing credits are given one can assume all the music was simply spontaneously created by all the musicians involved. For a freely improvised music the content of this album is remarkably melodic and beautifully serene. Surely this music was at least rehearsed to some extent before the recording, as most of it has a clearly defined melodic sequence and harmonic structure. As such it is also easily accessible to a wide range of listeners, including those who normally wouldn´t make the effort to listen to Improvised Music. Quite honestly this is definitely one of the most beautiful Improvised Music efforts I have been exposed to in the last few years, especially due to its complete lack of aggressiveness and belligerence that often overwhelms similar efforts. In contrast this music projects a kind of calmness and piece of mind, which perhaps reflects to some extent the need of regeneration and relaxation through Art, which becomes more popular recently. But regardless of the inner motives behind the music, the overall result is simply soothing. The individual performances are all excellent, as expected. Personally the clarinet, which is on the short list of my favorite instruments, is the most impressive here with a superb tone and melodic consistency. But again, all the other players contribute equally well. The addition of the bass solidifies the sound of the ensemble and its pulsations are another dimension which goes perfectly well with the rest. Of course the work of the ensemble as a coherent unit, and in this case almost telepathically coherent, is the most important factor contributing to their success to make brilliant music. This is definitely an album every true ambitious music connoisseur should listen to; satisfaction guaranteed!